Click here to view our reviews. 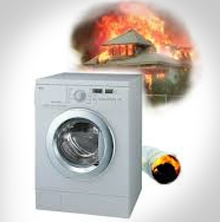 A-West Appliance repairs and services washers, dryers, ovens and cleans dryer vent systems. 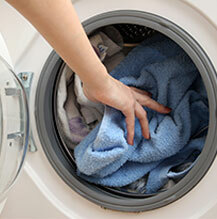 We service and repair top load, front load, standard, and stacked washer/dryer combo sets. Our technicians have the right training, the right tools, and the right parts to repair your appliances correctly. A-West Appliance Repair, a 4.5 star rated company, is committed to providing quality professional service in a timely manner at reasonable rates. 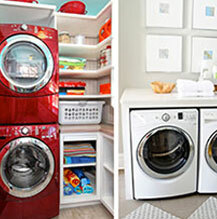 Our expert professional technicians are trained to repair most brands of appliance washers, dryers, and ovens: Whirlpool, LG, Samsung, Kenmore, Maytag, Speed Queen, Amana, Frigidaire, Electrolux and others. Our technicians have the right parts for these and other brands in stock. Call us for fast dependable service. We promise to always arrive on time and do the repair right the first time. Torrance, Manhattan Beach, Redondo Beach, Hermosa Beach, Rancho Palos Verdes, Rancho Palos Verdes Estates, Rolling Hills Estates, Rolling Hills, Palos Verdes Estates, El Segundo, Lomita, Hawthorne, Harbor City.